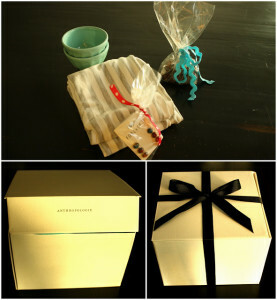 Alright last-minute Halloween Party Planners, here’s an easy and quick project that will spruce up your Halloween party spread. 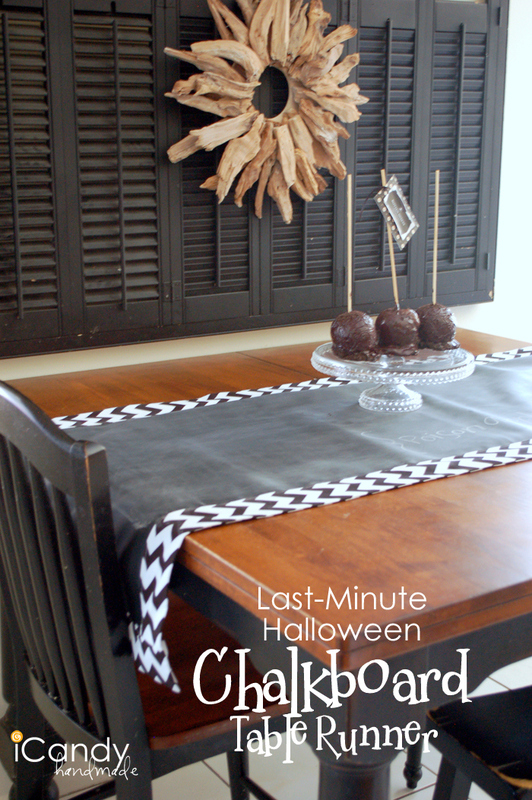 You still have plenty of time to whip up this Chalkboard Table Runner just in time for your Spooky Halloween Supper, or just to adorn your table to get you in the mood. 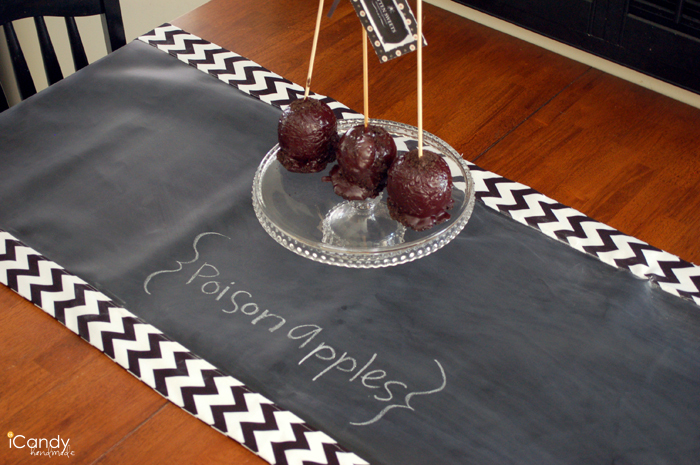 You can label all of your party platters, or just let your kids have a party with chalk! 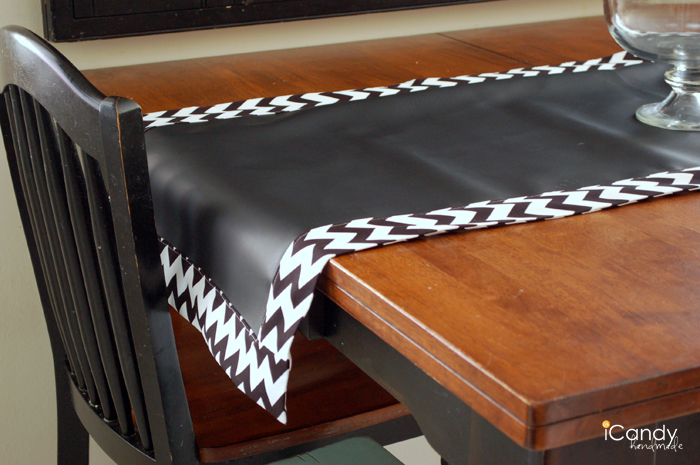 -Measure your Table, then add 12 inches! 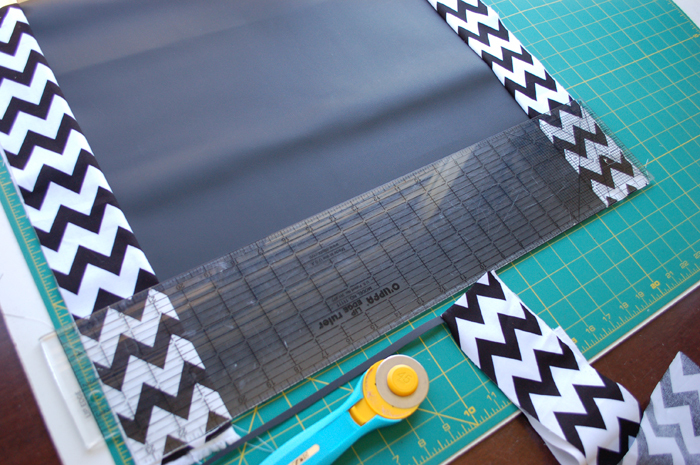 -Cut your border strips. 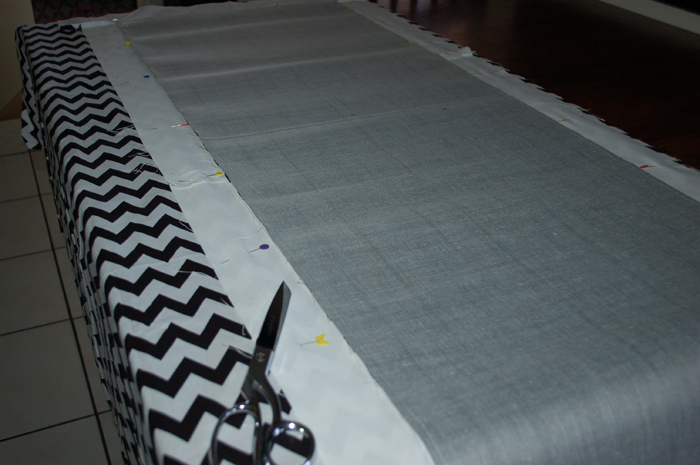 My fabric was directional, so I cut my long strips first so that the chevron would run horizontal down the runner, then I unfolded my yardage, and cut more strips that ran along the chevron. 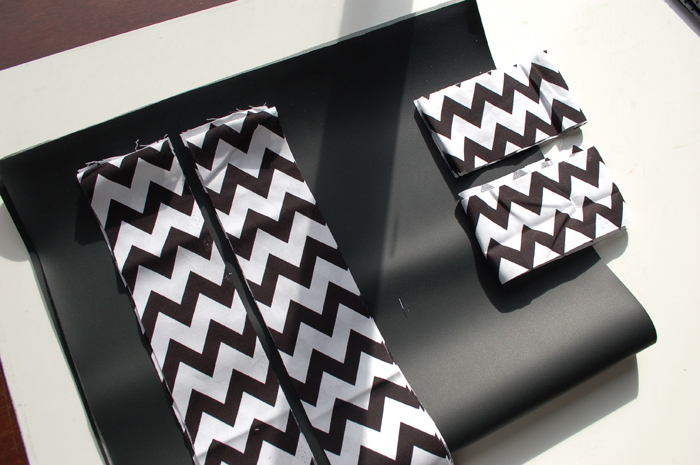 My strips were 3 1/4″ wide x the length of the fabric. 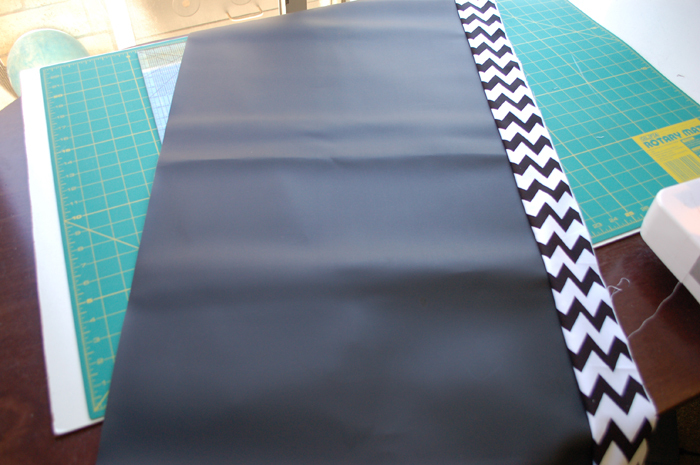 -Begin by sewing your longest side strips down each side of the chalkboard fabric, with Right-Sides together. 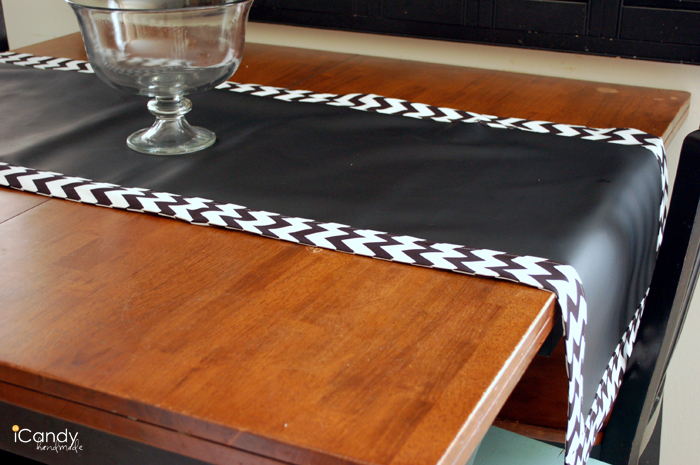 Once both sides are sewn into place along the two side borders, use another piece of cloth, or a dishtowel as an ironing cloth to flatten your seams. 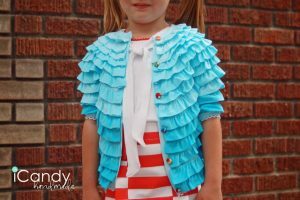 -Next, even up your ends on both sides of the runner, and then sew the other two border strips into place and press with an ironing cloth. 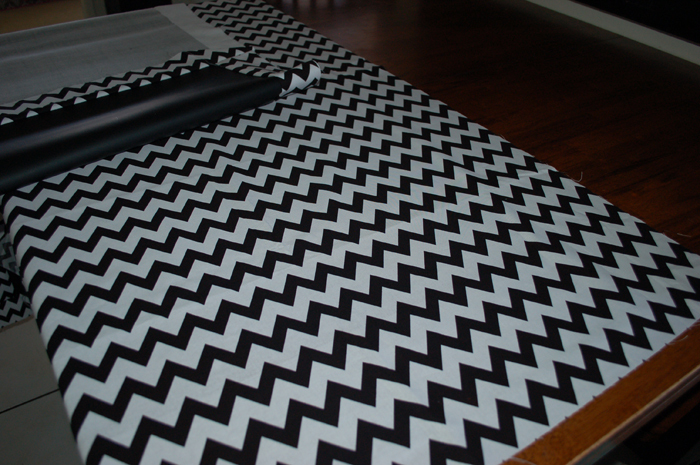 -Once both borders are sewn to the chalkboard fabric strip, you’re almost done. 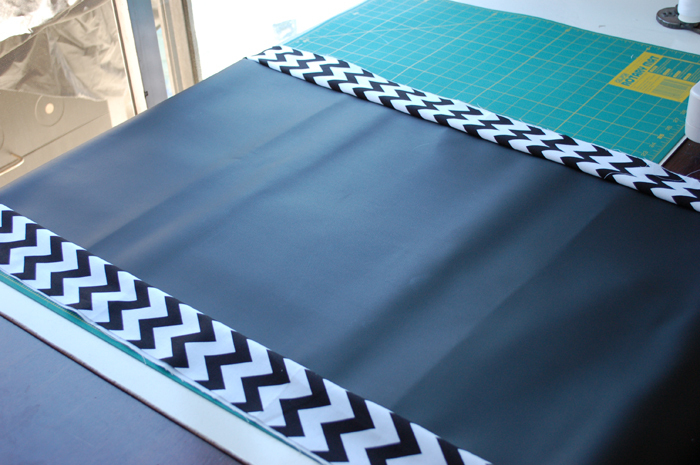 Iron and lay out your backing fabric on a flat surface, right-side up. 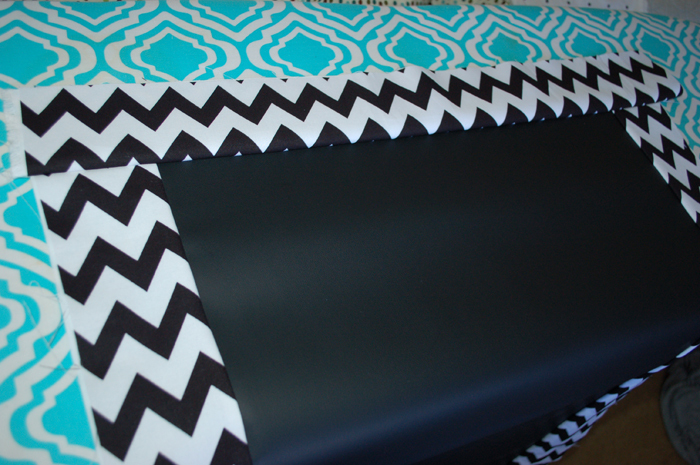 Then layer your chalkboard runner face down on top of it. 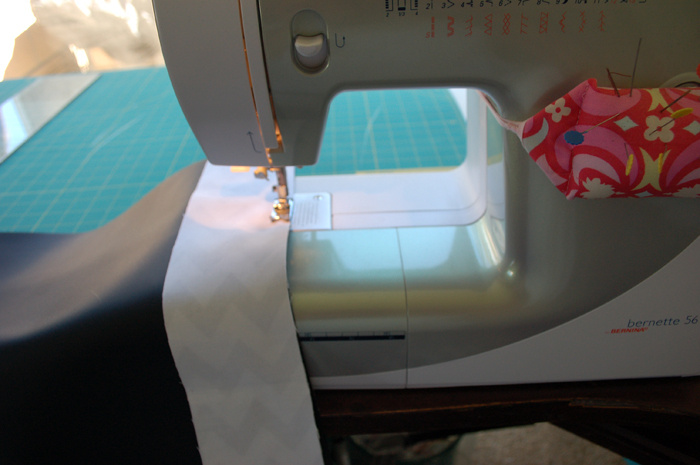 You can trim off the excess fabric after your runner has been sewn down. 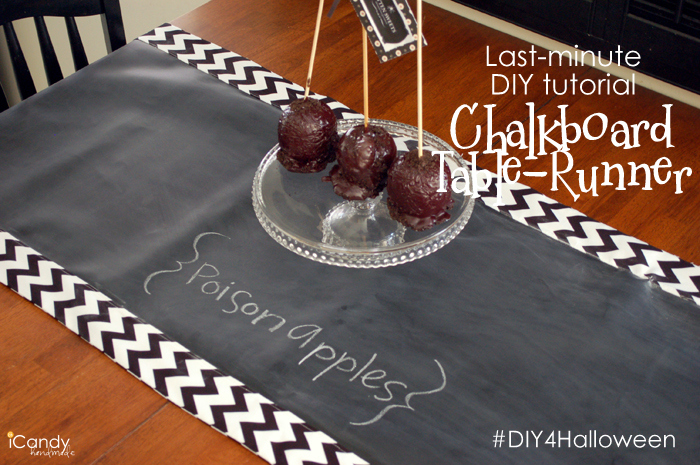 Please share your favorite last-minute Halloween projects using the hashtag #DIY4Halloween!